Approximately 600,000 hysterectomies are performed in the U.S. each year, and fibroids are one of the leading causes. Fibroids have been estimated to affect as many as 70-80 percent of women by the time they reach age 50, and many believe major surgery is the only solution. But recent medical advancements are transforming the way fibroids are treated. Join us as Dr. Diesfeld discusses the new techniques that offer a less invasive — but equally effective — means of treating fibroids. Dr. Diesfeld received his medical degree from the State University of New York, Buffalo, completed his residency at Los Angeles County–USC Medical Center and his fellowship at the American College of Obstetricians and Gynecologists. He is a member of the International Society of Gynecologic Endoscopy and American Association of Gynecologic Laparoscopists. Dr. Diesfeld is an active member of the Community Memorial Hospital medical staff. Join us as Dr. Lovell explains how effective and convenient oral appliance therapy can be for the treatment of mild to moderate obstructive sleep apnea. Dr. Brigitte Lovell is a dentist who specializes in headache, orofacial pain management and dental sleep medicine. She received her Doctor of Dental Medicine degree from the Arizona School of Dentistry & Oral Health. She completed her residency training at the UCLA School of Dentistry in Orofacial Pain & Dental Sleep Medicine, and was a neurology headache fellow at the Thomas Jefferson University Hospital in Philadelphia. She is a Diplomate of the American Board of Orofacial Pain. Dr. Lovell is a member of the American Headache Society and an active member of the Community Memorial Hospital medical staff. For over 110 years, Community Memorial Health System physicians have demonstrated relentless commitment to excellence, making Ventura County a better place to live, work and enjoy. February is American Heart Month – a great opportunity to focus on small changes that can have a BIG impact on the health of your heart! 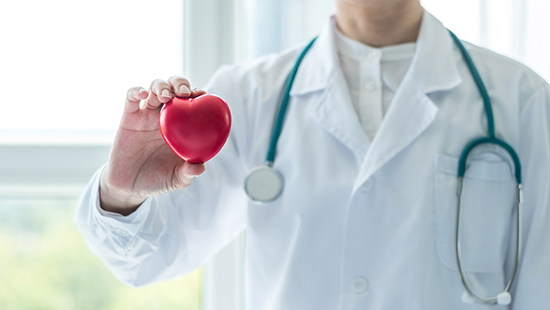 According to the CDC, heart disease is the leading cause of death for men and women, but there is so much you can do to protect yourself from its common causes. Heart month is the perfect time to commit to showing your heart a little more love. The journey to a healthier heart starts with knowing your numbers, which is why Community Memorial Health System is inviting you to drop in for a FREE blood pressure reading at our NEW Wellness & Fitness Center. Stop by any Monday in February between 7am and 10am, have your blood pressure read by one of our wellness professionals, and receive a complimentary red heart letter opener! The Wellness & Fitness Center is located at 2723 E. Main Street in Ventura. CMHS also offers an online Heart Assessment to help you determine your risk factors for heart disease. If your assessment results in positive risk factors, you’ll be eligible for a FREE consultation with a CMHS Nurse Practitioner. Click here to take the the 7-minute assessment! Schedule a Visit with Your Doctor to Talk About Heart Health – Your physician can help you set specific heart-health goals and recommend strategies for achieving them. If you’re looking for a trusted physician to have these important conversations with, let CMHS help! Use our Find a Physician tool to select the best local doctor for you. Eat 3 Heart-Healthy Meals Each Week – Changing your entire diet can be daunting, so start by focusing on improving the quality of just 3 meals per week. Heart-healthy meals can be comprised of vegetables (think plant-based! ), fish or other lean protein, whole grains, legumes, and nuts. Keep the sodium low and avoid unhealthy fats. If you need a little more guidance, CMHS is here to help with individualized, one-on-one coaching with Registered Dietitians. Visit our Nutrition Counseling Services page for more information! Quit Smoking – Smoking isn’t just bad for your lungs. It significantly increases your risk for heart disease and stroke. Quitting isn’t easy, but it’s possible with the right support system in place. CMHS offers ongoing 7-week Smoking Cessation Classes to help you quit. Click here for upcoming session dates, details, and sign-up information. Safely Increase Your Daily Exercise – Whether it’s walking a little bit every day, taking a yoga class, or joining your neighborhood gym, pick one way to increase your movement every day. We recommend consulting with your physician to determine which type of activity is best for you. If you’re looking for a great community gym with all the amenities staffed by health and wellness professionals, check out the new CMHS Wellness & Fitness Center! If you take just one of these steps in February, you’ll be well on your way to improved heart health in 2018! For more information on American Heart Month and all the Community Memorial Health System resources available to improve your heart health, please contact Andrea Ricketts, HealthAware Manager, at aricketts@cmhshealth.org or 805-652-5454.